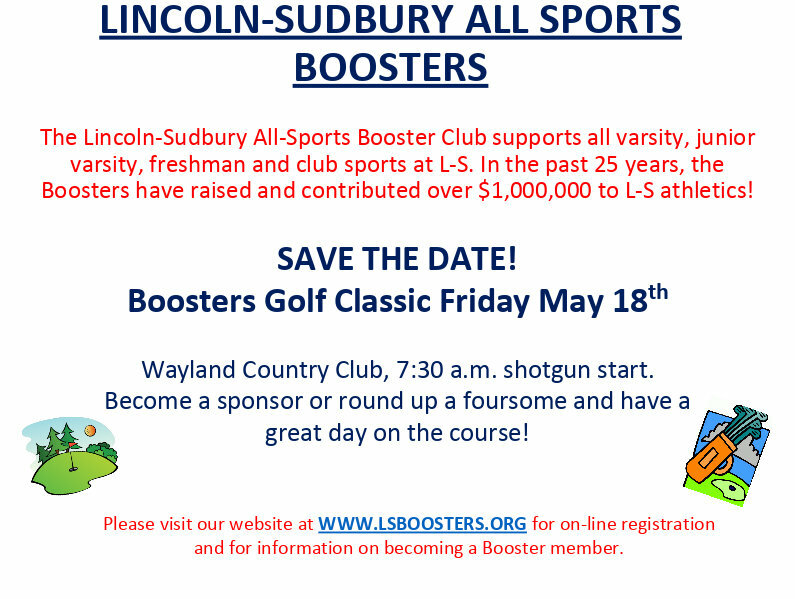 Please join us on Friday, May 18th for the 12th annual Lincoln-Sudbury Boosters Golf Classic, 7:30 am shotgun start. Please help us maintain the high quality of programs offered to our athletes by sponsoring the Golf Classic and/or joining us to play on May 18th! View the 2018 Golf Classic flyer.